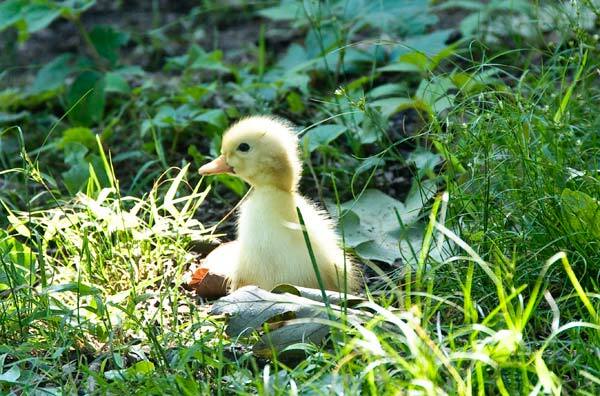 We arrived home yesterday after an errand and found this lone duckling wandering in the yard. All alone. Abandoned. Unloved. None of our dozens of adult ducks claimed it, even though it’s brimming with wobbly cuteness. Jessica named it Blinky. Because it blinks. A lot. 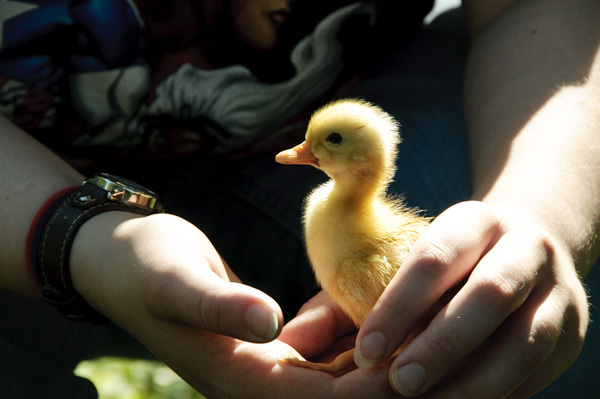 Blinky can’t be more than a day or two old, and is much too small to go live with the other ducklings. So Blinky’s current official address is a small brooder box in the hall bathroom. He (she?) has a lot of sleepovers on laps and shoulders, though, because all babies need snuggle time. Even abandoned baby ducks. Aww, Laura, how adorable! 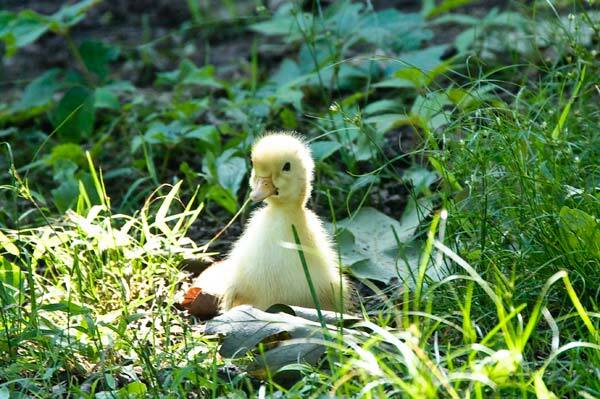 We actually had a baby duckling when I was in high school. His egg was cracked and the mama duck wouldn’t keep him, (he hatched with a club foot), so we raised him in the bathtub for many weeks. When he was big enough to hold his own outside, the other ducks didn’t care for him much but the dogs took to him well, and he to them. It was a symbiotic relationship. Ben, our huge male I-don’t-know-what-kind-of-monster-sized-dog let Elmo cuddle with him, and in return, Elmo ate the ticks off of Ben. Ben taught Elmo how to chase cars, and Elmo learned to bark (kind of). People would drive by our house just to get chased by the duck who thought he was a dog. Good times. Best of luck with Blinky! I love baby ducks! Everytime ours would hatch out, I loved watching the mama take them out in the yard. They would all be lined up and waddling along, just as cute as can be.